Join us on a Vilankulos Island Cruises with snorkelling! A day trip to explore or just relax on the beach on one or more of the many idyllic spots on the Archipelago´s Islands or the San Sebastian Peninsula. A day trip to explore or just relax on the beach on one or more of the many idyllic spots on the Archipelago´s Islands or the San Sebastian Peninsula. These waters are teeming with marine wild life and you just don’t know what you will bump into next! Seahorses, dugongs, starfish, sea cucumber, squid and all sorts make up some of the list of salty critters that love this place as much as you will. Flamingoes are a highlight pink in a dreamy blue seascape. These excursions can be easily combined with a snorkeling session and a cold lunch or barbecue. Ocean safaris, fishing and whale watching (in season) can also be merged with this trip. It is fun all day for the whole family. Perfectly safe and suitable to bring children. BYO Suncream, water, sirong…contact us to arrange the details! 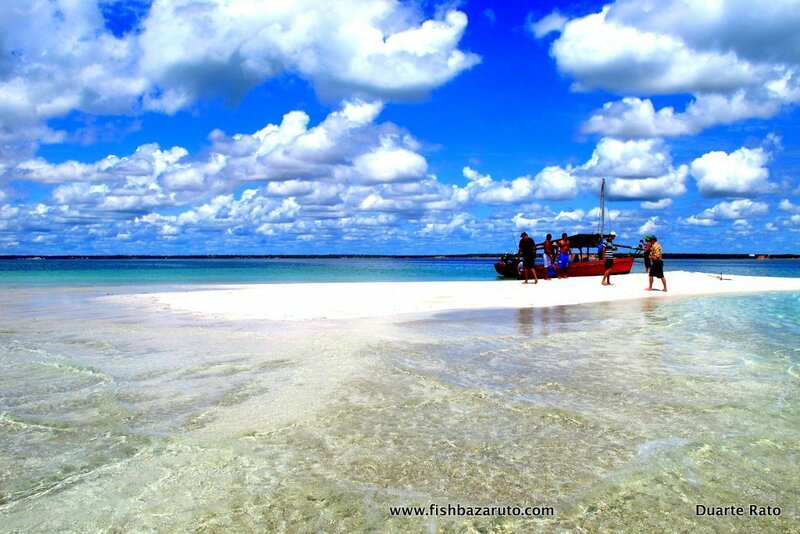 Flat calm waters should be the norm into the next few months off the Bazaruto Archipelago!